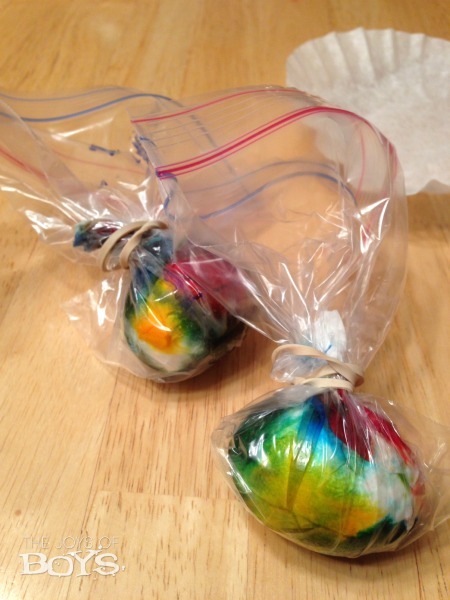 If your kids love decorating Easter Eggs, they will love making these Tie Dye Easter Eggs. 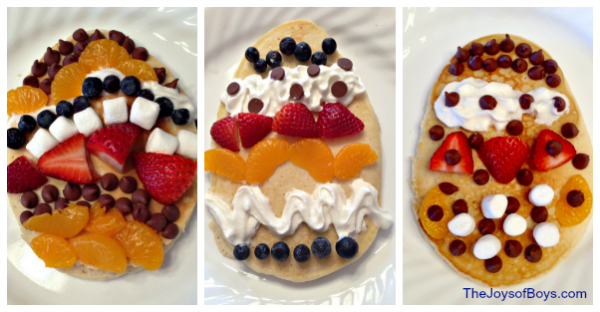 We loved making these as much as we did making our Dinosaur Eggs. Both are a fun deviation from traditional Easter Egg dyeing. 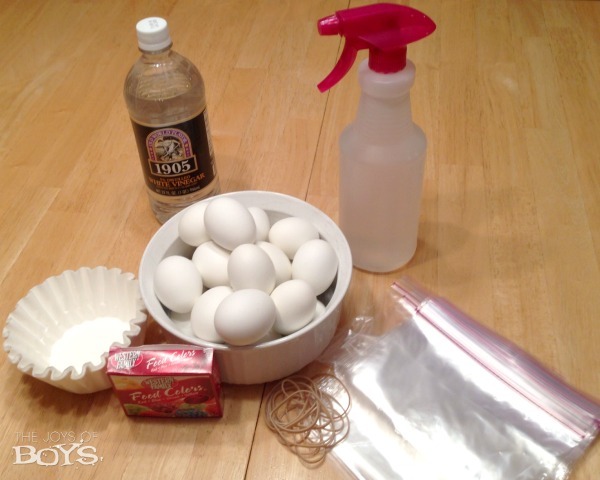 Tie Dye Easter Eggs are really easy to make with items that you might already have around the house. 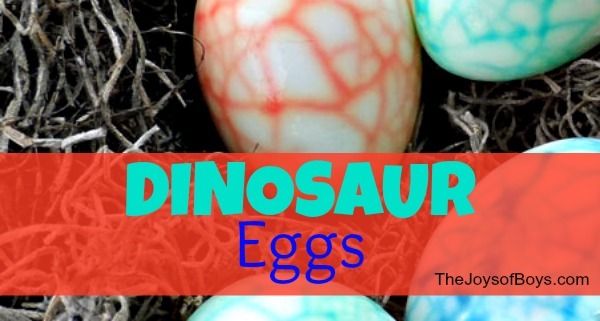 We’ve made fun Dinosaur Eggs before and they were a hit with my boys, but we wanted to try something different this year. Fill water bottle with water and 2-3 tsp of vinegar. The more vinegar you add, the darker the color will be. I wish we had used a bit more. 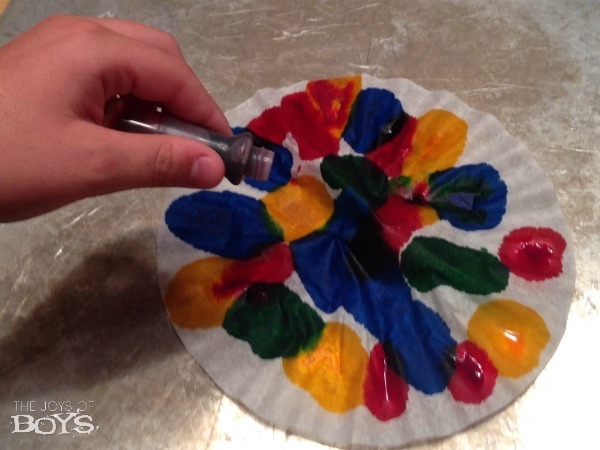 Place a coffee filter on a cookie sheet or other surface that you don’ t mind getting food coloring on. 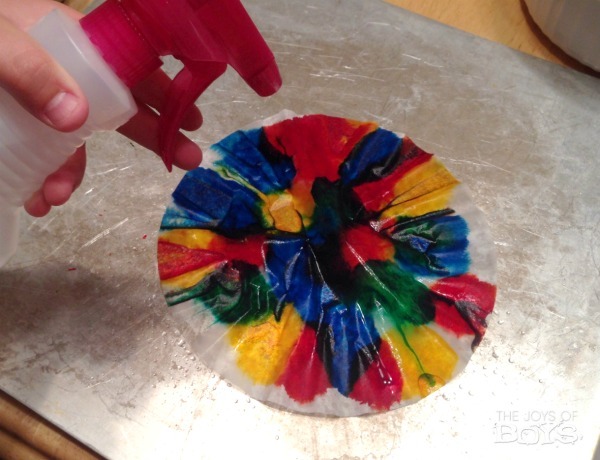 Add dots of food coloring all over the coffee filter. You don’t need very much because it spreads really easily. Too much coloring will mix and cause black so don’t go overboard. We used a bit too much the first few times we did it. Spray a water/vinegar mixture onto paper just until damp. If it is too wet, all of the colors will mix together. You want the colors to spread but not all run together. It took us a couple of tries to get it just right. Place egg in the center of the coffee filter and wrap the paper up around the egg. Your hand will get really stained doing this so if you have plastic gloves, you might want to wear them. Place in a plastic bag and secure with a rubber band. Leave eggs in bag for several hours. We left ours overnight. The longer you leave it the better the color will turn out. 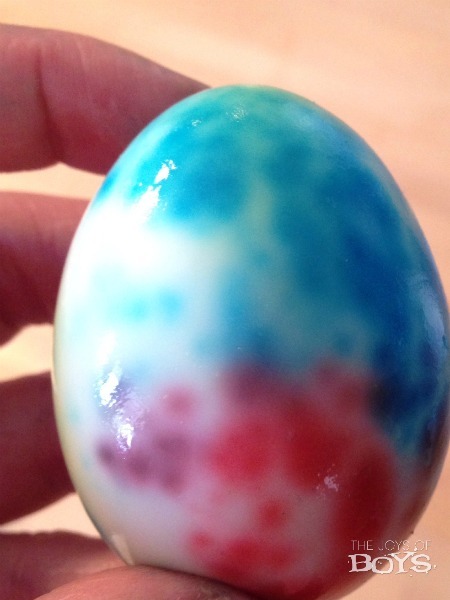 Unwrap and see your cool Tie Dye Easter Eggs. They even look cool peeled! 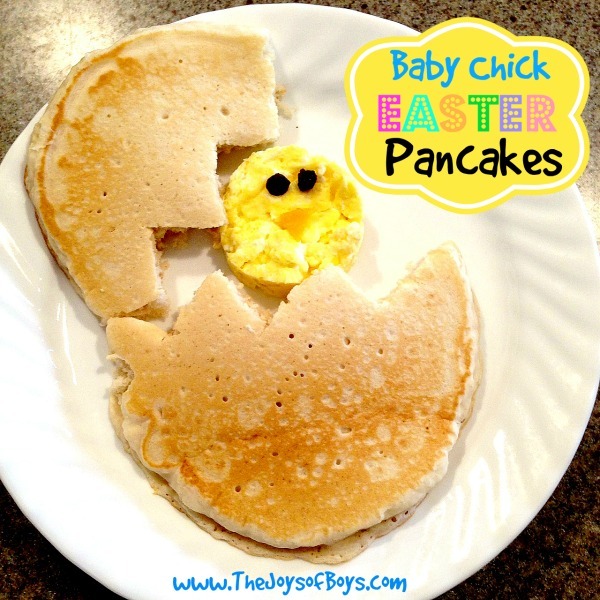 I think my boys loved those the most.